Mike has been involved in live sound and events for over twenty years. Since 2004 Mike has developed his company MG Event & Sound. His focus has been on providing high quality sound and event support services. This work has taken him around the world on projects, ranging from Glastonbury Festival to The Good Food Show; international conventions in Asia and the US, to local events in Warwickshire. 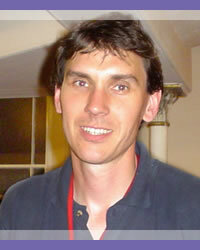 From 2002 - 2004 Mike worked as projects manager for London-based Re:Creation Sound. His role there was the management of projects ranging from PA and AV installations in schools, churches and cruise liners, to carnivals, conferences and concerts. From 1996 - 2002 Mike was Assistant Director and Technical Manager of The XL Project. His role included managing all of the project’s major events, including multimedia events and concerts as well as touring shows. His role also involved oversight of the project’s administration, and working hands on as a youth worker in inner city London. Prior to 1996: Since his late teens Mike has been involved in engineering live sound for a range of bands and churches organisations. He worked in the retail and charity sectors, and then trained as a youth worker from 1994 – 1996 with The Oasis Trust. His move in 1996 to XLP took his experience as a sound engineer onto a professional level, and from that point he has continuously been in demand. The combination of his experience means that Mike is not only a great sound engineer, but also has a huge amount of experience of event production in a wide variety of settings. His time at XLP ensured that he became a great all-rounder, at home not just behind a sound desk, but also with lighting, video, or behind a production office desk making it all happen. Mike has been married to his wife Samantha (Sam) for 16 years and they have two boys. As well as spending time with his family, Mike is a keen mountaineer and rock climber, taking time whenever he can to get away to the mountains, and is found most weeks on a climbing wall somewhere. He also likes whenever possible to spend time travelling on two wheels. As far as Mike is concerned there is no better way to get from A to B than on a bike; his is currently a BMW R1100RS. Mike is also involved in his local church, “Hope Church” Nuneaton. As well as preaching occasionally he is also on the PA team. Mike Godden was a key player in making The Pentecost 2000 celebration happen. Without him we would have been struggling.